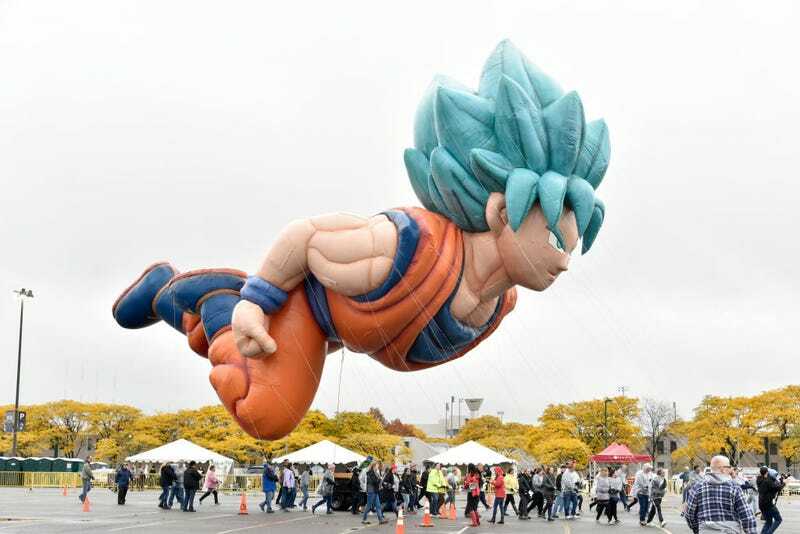 Dragon Ball’s Goku will make his premiere (in balloon form, and also Super Saiyan Blue form) at the 92nd Macy’s Thanksgiving Parade today. According to Macy’s, Goku is 56 feet tall and as wide as seven taxis, an enjoyably specific unit of measurement I’d like to see used for other things. Earlier this week Macy’s tweeted a look at the balloon’s design, which was created with Toei Animation. Goku marks the first time a Japanese manga character has appeared in the Macy’s parade. I have never watched the parade, because I think getting up early on a day off is a sin, but we can all watch a livestream from the comforts of our homes below.